China used to be far away, the country at the bottom of the world. Certainly that must be how it seemed just 20 years ago in a place like Pekin, Ill., a city of 34,000 residents on the Illinois River that took its name from the Chinese capital in the 1820's. According to local legend, Pekin is directly opposite Beijing on the globe. The high-school teams there were still called the Chinks until 1981, when they were renamed the Dragons. A smart and forward-looking decision, it turns out: as is happening throughout the United States, the Pekinese have in their own local ways grown inextricably linked to the Chinese of today. They are now connected not by an imaginary hole through the earth but by the world's shipping lanes, financial markets, telecommunications networks and, above all, the globalization of appetites. Follow the corn, for example. Trade deals struck between the U.S. and China in April will, farmers around Pekin hope, lead China to lower its import barriers and buy half a million metric tons of American corn this year. Illinois corn farmers get higher-than-usual prices for their exports because they have ready access to river transportation and in turn to big ports. Pekin is also home to the plant of Aventine Renewable Energy, the nation's second-largest producer of ethanol, a fuel derived from corn. (Ten percent of the American corn crop is converted to fuel.) China recently passed Japan as the world's second-largest consumer of petroleum, and growing Chinese demand has lately been pushing up oil prices worldwide. That makes ethanol an increasingly attractive alternative. And, indeed, ethanol prices climbed 40 cents a gallon this spring, dragging up U.S. corn prices as a result, a boon to Pekin's farmers and industry. Then there's Excel Foundry and Machine, a local factory that makes parts for machinery used in heavy construction and mining operations. Doug Parsons, the current head of this family-owned business, has already relocated 12 percent of the company's production to China in order to hold onto business that would otherwise be lost to China's huge, cheap foundries; during the next decade he may well have to move much more of his production offshore. Parsons has China on his mind for other reasons too: over the past few months, the prices of copper and iron, like those of oil, have skyrocketed in response to Chinese demand, driving up Excel's costs as a result. At the same time, however, his international mining customers have been buying more Excel products in order to feed that same Chinese appetite for commodities. Even something as all-American as Pekin's new Wal-Mart Supercenter spreads China's influence around town. Because 12 percent of China's exports to the U.S. end up on Wal-Mart's shelves, and because Wal-Mart's trade with China accounts for 1 percent of that country's gross domestic product, the company exerts tremendous downward pressure on prices. Its buying power enables it to dictate, in effect, what a Chinese manufacturer will get for producing goods that American consumers want. By selling Chinese-made portable DVD players with seven-inch L.C.D. screens for less than $200, for instance, Wal-Mart helped to cut the price of these trendy devices in half over the last year. Competitors have to match the chain's prices or go under. Nearly every shopper in Pekin will therefore save money by shopping at Wal-Mart — which is to say he or she will profit from the retailer's China connection. Of course, this very connection may also contribute to Wal-Mart's ability to drive other Pekin-area stores out of business. In short, Pekin, Ill., is not so different from lots of American places. China is everywhere these days, influencing our lives as consumers, providers, citizens. It has by far the world's most rapidly changing large economy, and our reactions to it shift just as quickly. China is at one moment our greatest threat, the next our friend. It siphons off American jobs; it is essential to our competitive edge. China is the world's factory floor, and it is the world's greatest market opportunity. China's industrial might steals opportunities from the developing world, even as its booming economy pulls poorer countries up (lately it has been getting credit for helping Japan out of its slump too). China exports deflation; it stokes soaring prices. China will boom; it will bust. Or perhaps the country's economy is feeling its way right now to the soft landing that will prevent another Asian economic crash, and all the recent record numbers on trade, industrial output, consumer spending and debt are simply now in scale with China's size. 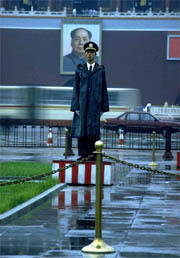 The truth about China is that, like all big countries, it is full of real contradictions. 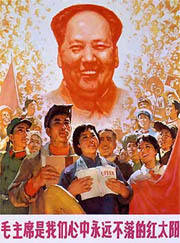 Another truth is that the current feelings about China do not fully reflect today's reality. The U.S. economy is about eight times the size of China's. Our manufacturing sector is bigger than the entire Chinese economy. Americans, per capita, earn 36 times what the Chinese do. And there is no shortage of potential roadblocks in China's path, either. Its banks may collapse. Its poor and its minorities may rebel. 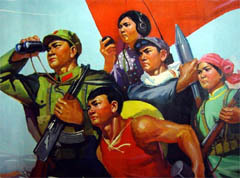 Uppity Taiwan and lunatic North Korea may push China to war. The U.S. could slap taxes on everything China ships to us. 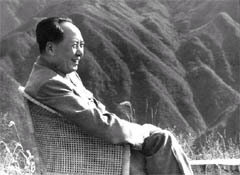 Still, barring Mao's resurrection or nuclear cataclysm, nothing is likely to keep China down for long. 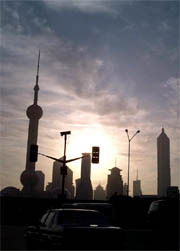 Since 1978, its gross domestic product has risen fourfold; in straight dollar terms, China's economy is the world's sixth-largest, with a G.D.P. of around $1.4 trillion. It has gone from being virtually absent in international trade to the world's third-most-active trading nation, behind the U.S. and Germany and ahead of Japan. Tom Saler, a financial journalist, has pointed out that 21 recessions, a depression, two stock-market crashes and two world wars were not able to stop the U.S. economy's growth, over the last century, from $18 billion ($367 billion in 2000 dollars) to $10 trillion. In constant dollars, that is a 27-fold increase. China is poised for similar growth in this century. Even if China's people do not, on average, have the wealth Americans do, and even if the United States continues to play a strong economic game and to lead in technology, China will still be an ever more formidable competitor. If any country is going to supplant the U.S. in the world marketplace, China is it. Mornings at Wanfeng automotive factory outside Shanghai begin with a neat line of employees doing calisthenics to martial music broadcast over a P.A. system. The blue-uniformed workers, nearly all of them young men, make for a clean-cut, well-pressed company line. The Japanese introduced courtyard exercises and company songs to the world back in the 70's, when that nation appeared to have the world's best industrial jobs. Today, Japan is just stumbling out of a long malaise, and its dwindling pool of young laborers seem to lack the compulsion to work like hell. But the striving Japan of old still sets a good example for would-be worldbeaters, as Wanfeng's management knows — only the Chinese manufacturer goes one better. 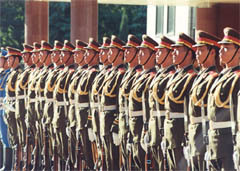 Its employees regularly have their spirits revved at company boot camps run by People's Liberation Army drillmasters who inculcate the twin virtues of patriotism and hard work. The results are impressive. Ten years ago, Wanfeng was hammering out motorcycle wheels by hand in a Chinese garage; a few years later it was the No. l seller of aluminum-alloy motorcycle wheels, first in China and now in Asia. The company soon became a top national and global seller in alloy automobile wheels too. Wanfeng may have received some breaks on the way up: the company-produced video that describes its rapid ascent does not identify the early contracts that enabled Wanfeng to grow so fast, nor whether Wanfeng had insider connections to state-run companies in the motorcycle and car businesses. There is nothing in the company literature about how the private company secured its financing, either. Nonetheless, Wanfeng today is still scrappy, aggressive and capable. It now turns out about 60,000 vehicles a year that, if you squint just a little, appear to be remarkably like Jeep Grand Cherokees. They look great, come with every modern luxury, including leather seats and DVD video systems, and purr when driven. Still, it's not only cheap labor that drives China's economy. "If you look just at low wages, you overlook the talents of Chinese manufacturers to drive their costs down," Weingrod says. The best operations are as efficient and as responsive as the world's elite manufacturers. China's miracle economy can come at you in a lot of ways. By now most of us know that China is the factory floor of choice for the world's low-road manufacturing: it assembles more toys, stitches more shoes and sews more garments than any other nation in the world. But moving up the technological ladder, China has also become the world's largest maker of consumer electronics, like TV's, DVD players and cellphones. 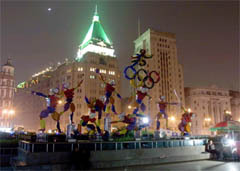 And more recently, China is climbing even higher still, moving into biotech and high-tech computer manufacturing. No country has ever made a better run at climbing every step of economic development all at once. Behind China's rapid economic ascendancy over the last 25 (and especially last 10) years is the basic fact of China's huge population. China is home to close to 1.5 billion people, probably, which would make the official census count of 1.3 billion too low by an amount equal to roughly the population of Germany, France and the United Kingdom combined. 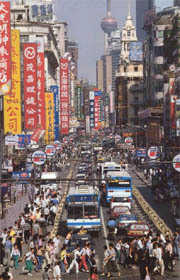 China has 100 cities of more than a million people. 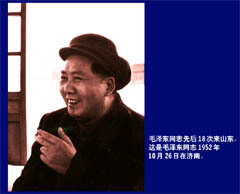 Since economic liberalization began in 1978, under Deng Xiaoping, the Chinese have started tens of millions of businesses. The number of Chinese who have left farms and now trawl the cities for work probably exceeds the entire work force of the United States. China is not home to the cheapest work force in the world. Even at 25 cents an hour, Chinese workers cost more than laborers in the poorer countries of Southeast Asia or Africa. In the world's miserable corners, children carry rifles and walk mine fields for less than a dollar a day. China is the world's workshop because it sits in a relatively stable region and offers manufacturers a reliable, pliant and capable industrial work force, groomed by generations of government-enforced discipline. The other great contributing factor is the migration of hundreds of millions of peasants from the countryside now that the government makes it easier for them to leave. Indeed, the country's embrace of market capitalism over the last decade and the government's insistence that farmers fend for themselves are combining forces to all but evict peasants from the land. The plots allotted to farm families are on average 1.2 acres but can be as small as an eighth of acre; in hundreds of millions of cases these farms fail to generate enough money for a family. Average city incomes, according to the Chinese government, are $1,000 a year, which is three times what they are in the countryside. That disparity has set in motion the largest human migration in history. 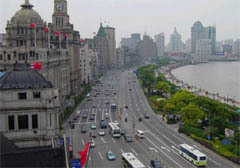 By 2010, nearly half of all China's people will live in urban areas. What these numbers mean is that China's people must be regarded as the critical mass in a new world order. The productive might of China's vast low-cost manufacturing machine, along with the swelling appetites of its billion-plus consumers, have turned China's people into probably the greatest natural resource on the planet. How the Chinese (and the rest of the world) use that resource will shape our economy (and every other economy in the world) as powerfully as American industrialization and expansion has over the last hundred years. In the political debate over trade and jobs, China is the place where the world's companies choose to exploit low-cost manufacturing. The framing of this debate implies that American consumers and businesses have strong choices in the market; in fact, China, supplying ever more goods as it does, in ever more varieties and at ever better prices, is straitjacketing the choices of American businesses. China's size does not merely enable low-cost manufacturing; it forces it. Increasingly, it is what Chinese businesses and consumers choose for themselves that determines how the American economy operates. The American political debate on China's economic threat overlooks this dynamic entirely. The experience of Motorola, the U.S. telecommunications giant, offers a lesson in how China's size changes the rules of competition and consumption there and everywhere else. Every month, five million new subscribers sign up for mobile-phone service in China. The country's 300 million mobile-phone users make China by far the largest such market in the world (and hundreds of millions more accounts are up for grabs). Hence the world's makers of handsets need to be in China. It gives them a chance to grow at a time when the big European and U.S. markets are saturated. Not that it's a seller's market: for equipment makers, China is also the most competitive and protean environment in the world. New manufacturers appear out of nowhere; new phones materialize daily at big-city stores. There are 800 current handset models to choose from. Young urban consumers change phones on average after only eight months — they sell them to someone else or pass them to family members. Mobile phones in the hands of migrant construction workers, whose annual wages might not cover the cost of a phone, are a common sight in Shanghai and Beijing. And this mobile-phone market in China is one that Motorola invented. For Robert Galvin, the company's former and longtime chief executive, China in the early- to mid-80's promised a market that could more than make up for Motorola's having been foiled in Japan for years. But first the company had to develop a top-drawer telecommunications infrastructure. In an unscripted bold stroke at a dreary state ceremony during a tour of the country, Galvin turned to the minister of railroads and asked him whether he wanted to do a good job as minister and be done with it or whether he wanted to create a world-class society. In doing so, Galvin tapped a thick vein of economic patriotism. Motorola's company archives on its move into China are deep and open. They show that Galvin and his team knew that eventually the transfer of technology to China would sow formidable Chinese competitors. Nevertheless, Motorola decided its best strategy was to get into China early. Before long, Motorola's reports to China's political leaders — infused with the same missionary vocabulary on industrial quality that had made the company a model for American manufacturers — were soon parroted by China's leadership. Galvin also brought Motorola's best technology to China. The proof today is in the size and efficacy of the country's mobile communications network: calls get through to phones in high-rises, subway cars and distant hamlets — connections that would stymie mobile phones in the U.S.
What no one at Motorola saw was that the Chinese market would become the most competitive one of all. 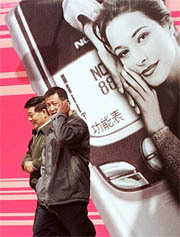 Nokia and Motorola now battle for market share in the Chinese handset business. German, Korean and Taiwanese makers figure strongly. And all these foreign brands are now facing intense competition from indigenous Chinese phone makers. "Competition goes through a cycle in China," says Zirui Tian, a researcher at Insead, the French business school. "At first the foreigners can make things at much lower cost than the Chinese. But as local companies come along to supply the multinational companies, the supply network expands very fast. Then local Chinese manufacturers can start to source their parts in China and drive the prices of their products far lower than the multinationals." One of Motorola's most important suppliers is the battery maker BYD Company Ltd., based in Shenzhen, near Hong Kong. In only a decade, the private company has gone from virtual invisibility to owning more than 50 percent of the global market in mobile-phone batteries. Before BYD, phone batteries were made in highly automated plants, like those run by Sanyo and Sony in Japan. But BYD, like Wanfeng, stripped robots and other machines out of the manufacturing process and replaced them with an army of workers. By paying for Chinese salaries, and not for million-dollar American, German or Japanese machines, BYD slashed the price of batteries. Initially the company could not meet Motorola's quality demands, but the American company sent a team of engineers to work with the upstarts, and six months later BYD earned a Six Sigma certification, a universally recognized badge of quality (which Motorola itself invented). The fact that in China machines can be replaced by people for huge cost savings and without sacrifice in quality changes the competitive landscape of the global marketplace. When Motorola and Nokia were pressed to lower their prices by Chinese competitors, they turned to BYD. One of the biggest challenges facing Motorola and other global manufacturers is that Chinese suppliers are getting too good. Their quality, low-priced parts have helped create new, homegrown and extremely aggressive competitors. More than 40 percent of the Chinese domestic handset market now belongs to local companies like Ningbo Bird, Nanjing Panda Electronics, Haier and TCL Mobile. Ningbo Bird will produce 20 million handsets in 2004 and is likely soon to nudge its way into the ranks of the top 10 mobile phone makers in the world. Yet Motorola can't exactly exit the Chinese market. If it did, says Jim Gradoville, Motorola's vice president of Asia Pacific government relations, the Chinese companies that emerged from the crucible of their market would be the leanest and most aggressive in the world, and a company like his would have no idea what hit it. So Motorola stays. Already the largest foreign investor in China's electronics industry, Motorola plans to triple its stake there to more than $10 billion by 2006. Generalizing about Chinese business always raises exceptions. The country's crazy quilt of state-owned, village-owned, private and hybrid businesses was stitched together over 25 years of rocky reforms. Peasant entrepreneurs, opportunistic officials, government planners, new urban sophisticates and foreign investors all created operations that best fit the moment they stepped into the evolving market economy. And yet, looking at the marketplace from the broadest perspective, one overwhelming fact stands out. Ninety percent of everything made in China is in oversupply; in other words, nearly every manufacturing industry has surplus capacity. And instead of using cheap labor to push their profit margins higher, Chinese companies use cheap labor to drive down prices to the sweet spots for the great mass of Chinese consumers. A Chinese family can live a life comfortably close to that of the American middle class for a fraction of the cost. Though China claims urban per-capita income is $1,000, "the government numbers on incomes don't tell nearly the whole story on the consumer class, especially not in the eastern cities," says Merrill Weingrod of China Strategies. 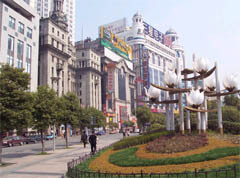 Weingrod, working with Linsun Cheng of the University of Massachusetts at Dartmouth, surveyed incomes in Shanghai and several other cities in industrial centers. "People tend to have two and three jobs, with many taking in short-term assignments here and there," he says. 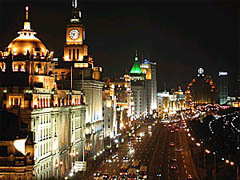 "Real income in Shanghai, for instance, is close to $2,500 per capita, $5,000 per household." The Chinese can, on average, buy nearly five times in goods and services per dollar what an American can with the same dollar in the U.S. "If you multiply income against China's purchasing power parity," Weingrod says, "Chinese urban incomes approach the buying power of Americans making $12,500 a year. For working couples, that's the equal of $25,000. Do the math, and you can understand why Shanghai looks as prosperous as it does and why it seems like everyone is out shopping all the time." 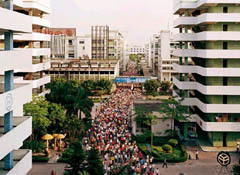 According to Weingrod's and Cheng's research, China now has 100 million people who are comfortably middle class. They buy (in reduced measure) what the American middle class buys. The allure of China's market is obvious: the huge volumes of potential sales mean even products with the most modest of margins can earn lots of money. Wilf Corrigan, the chairman and C.E.O. of LSI Logic, an American company in the Chinese video player market, says that Chinese manufacturers have short-circuited one of the most predictable trends in consumer electronic manufacturing. "Typically," he says, "a new technology would be released at $1,000 in Japan, and it would take two years to drop below $1,000 and make it to the U.S. and Europe, and it would take a total of five to seven years for it to make it into the mass market." As features were added, prices rose. Now China's low-cost labor and the vastness of its consumer population are combining to bring bargain electronics into homes in record time. Chinese companies build sophisticated goods with components produced locally and rush them by the millions into their huge domestic market. New companies arise. Competition shrinks the time it takes for new products to appear. New features are added while prices are likely to drop. Anything to pump sales. Corrigan's company is now supplying Chinese consumer electronics manufacturers with the chip sets they need to make digital video recorders, machines that record DVD's and that are displacing VCR's on retail shelves. Currently, the Japanese and Korean brand-name giants have consumers' attention. Corrigan, however, sees no reason DVR's won't go the way of DVD players, plummeting in price as the Chinese enter the competition. Expect the recorders to be on sale for $100 within the next two years. "Look, China is the most exciting place in the world right now to be a manufacturer," says Mark Wall, president of the greater China region for G.E. Plastics. His operation sells the plastic pellets used to make everything from DVD's to building materials. Within two years G.E. will sell $1 billion in advanced materials, including plastics, in China. 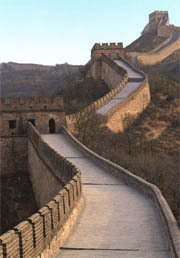 Wall, who came to China from G.E. Plastics, Brazil, describes a country in love with manufacturing like no other, where engineers come in excited and readily work long days. Where university students clamor to get into engineering and applied sciences. Like many American manufacturing executives in China, Wall talks about working in China with the delight that young computer whizzes felt when they found cool in Silicon Valley. There's no going to a cocktail party and then trying to talk around the fact that you make things in factories. Wall says he feels at home. He loves it. G.E. 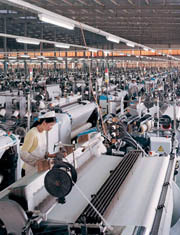 has every plan to capitalize on the local zeal for manufacturing. It recently opened a giant industrial research center in Shanghai, and by next year will it employ 1,200 people in its Chinese labs. The company has also set up scholarship programs at leading Chinese technical universities. It will have no shortage of good candidates. The government is pouring resources into creating the world's largest army of industrialists. China has 17 million university and advanced vocational students (up more than threefold in five years), the majority of whom are in science and engineering. China will produce 325,000 engineers this year. That's five times as many as in the U.S., where the number of engineering graduates has been declining since the early 1980's. It is hard to imagine Americans' enthusiasm for engineering sinking lower. Forty percent of all students who enter universities on the engineering track change their minds. The case for the ability of American industry to stay ahead of its international competition rests on the national gifts and resources that the U.S. devotes to innovation. Certainly, the confidence of big American companies like Motorola, General Motors and Intel, all of which have billion-dollar-plus stakes in China, is based on the brainpower they have at home. The research gap between the U.S. and China remains vast. In December, Washington authorized $3.7 billion to finance nanotechnology research, a sum the Chinese government cannot easily match within a scientific infrastructure that would itself take many more billions (and years) to build. Yet, when it comes to more mainstream, applied industrial development and innovation, the separation among Chinese, American and other multinational firms is beginning to narrow. Last year, China spent $60 billion on research and development. The only countries that spent more were the U.S and Japan, which spent $282 billion and $104 billion respectively. But again, China forces you to do the math: China's engineers and scientists usually make between one-sixth and one-tenth what Americans do, which means that the wide gaps in financing do not necessarily result in equally wide gaps in manpower or results. The U.S. spent nearly five times what China did, but had less than two times as many researchers (1.3 million to 743,000). For now, the emphasis in Chinese labs is weighted overwhelmingly toward the "D" side — meaning training for technical employees and managers. Nevertheless, foreign companies are quickly moving to integrate their China-based labs into their global research operations. Motorola has 19 research labs in China that develop technology for both the local and global markets. Several of the company's most innovative recent phones were developed there for the Chinese market. Motorola's newest research center is located 40 minutes from Chengdu, the capital of Sichuan, a province in southwestern China. 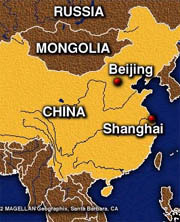 Sichuan is slightly larger than California, but three times as populous. There are around 90 million people in the province, 43 universities and 1.2 million scientists and engineers. Sichuan's fragmented transportation system prevents Chengdu from rivaling the eastern powerhouses as a manufacturing center, but the city is promoting the advantage of its plentiful, relatively low-cost brain pool with its new research corridor, the West High-Tech Zone. And Motorola regards its building — subsidized generously by the development zone — as a world center for software engineering. The company now employs more than 150 developers there and has plans to add hundreds more. That will pit it against a growing number of the world's top research-driven enterprises taking advantage of Chengdu's largess: Intel, Ericsson, D-Link, Siemens, Alcatel, Mitsui & Company and Fuji Heavy Industries of Japan and more than 200 other firms in one of the area's special tech districts. In all, foreign companies have been involved in establishing between 200 and 400 of their own research centers in China since 1990. China's People's Daily has reported that 400 of the world's transnational corporations have set up research and development projects in China. In part, tax incentives attract such financing. But the biggest incentive of all, of course, is access to China's consumers. The Chinese government knows that foreign tech companies can be coaxed into sharing technology and training in exchange for easier access to the Chinese marketplace. The World Trade Organization forbids formal bargains that demand international tech transfers, but it does not police winks and nudges. The likely outcome of all this R.&D. investment in China? Even more overcapacity. Just as China's abundant unskilled workers feed the world more shoes and more gadgets than it needs — or at least more than it can absorb without forcing prices down — China's abundance of newly skilled industrialists threatens to swamp the world's most highly prized, high-tech markets. The Wall Street Journal reported earlier this year that in the past three years foreign investors have invested or pledged $15 billion to build 19 new semiconductor factories. China imports 80 percent of the semiconductor chips it needs, $19 billion worth, and the government has made it a point of national pride to end the country's dependence on foreigners. Industry observers seem to agree that China will be able to compete with the world's leading semiconductor makers in a decade, but even before that it may exert strong downward pressure on chip prices. Will there be a 2005 recession in the chip market? Morris Chang, the influential founder of Taiwan Semiconductor Manufacturing, the world's largest dedicated independent semiconductor foundry, asked an industry gathering last September. "Yes, I think there will be," he said. And who will cause it? 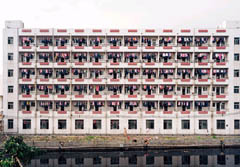 China, thanks to all the capacity it's building. China now offers the world a labor supply with depth unlike anything ever seen. In a recent policy brief for the Carnegie Endowment for International Peace, Sandra Polaski, a former State Department special representative for international labor affairs, writes that to put things in perspective, "if all U.S. jobs were moved to China, there would still be surplus labor in China." That fact highlights what is most sobering about China's booming economy: it can force down the value of work in any job that is at all transferable. In American business this is called the "China price." It is the price American suppliers to other American businesses have to match to keep their customers. It is the price at which Chinese manufacturers can deliver the same goods and services. Last November, the Chicago Federal Reserve Bank noted the complaints that "automakers have reportedly been asking suppliers for the 'China price' on their purchases." It also observed that U.S. suppliers had been asked by their big customers to relocate production to China, or to find subcontractors there. The bellwether of American industry may very well be its foundries. Casting is one of those unsexy industries that rarely get top mention in personal ads. But no amount of buzz could overstate its importance. Without metal casting, the United States would boast hardly any industry at all. The U.S. Energy Information Administration of the Department of Energy notes that more than 90 percent of all manufactured goods and capital equipment use metal castings, or are made with equipment that uses them. The American casting industry is the world's largest, with more than $25 billion in annual sales. Nearly 3,000 foundries are spread across the country, and are especially concentrated in the Midwest. Most are small businesses, with fewer than 100 employees who, on average, outearn their counterparts everywhere else in the world. The metal-casting industry once had generous trade surpluses with the rest of the world, but imported castings have increased their share of the American market by 50 percent since the mid-1990's; they now have 15 percent of the market. Imports from China are growing at between 7 and 10 percent a year, and worldwide by volume China is now the top producer of castings. The effect has been severe pressure on American foundries, 140 of which closed their doors in 2002, the last year for which the American Foundry Society has figures. Bob Schuemann is executive vice president and part owner of Signicast Corporation, a privately held casting business located at the edge of Hartford, Wis. Hartford is one of the state's many midsize towns whose roads are shared by farm tractors and semitrailer trucks making their way to the loading docks of manufacturers that since the 1970's have stayed competitive by migrating out of the urban Midwest and into the more economical countryside. Schuemann, like many, now lives under the sword of the China price. His company owns proprietary technology for producing metal machine parts with extremely high precision. Yet the network effect means that the company's fate is tied in part to the economic vitality of its business community. Wisconsin lost roughly 90,000 of the 2.8 million U.S. manufacturing jobs that disappeared over the last four years. Signicast survived with automation. Robots fill its factory, moving everything from thumb-size precision parts to the boxes in the warehouse. Workers are scarce. Walking through the plant is a lesson in how the hardware business has become a software business. The whole plant seems to be run by smart ghosts. Even so, the company feels the gravity of China's growing influence in manufacturing. Schuemann says some of his corporate customers also want the company to make the move to China and have offered to help cover the costs of doing so. The company won't move. 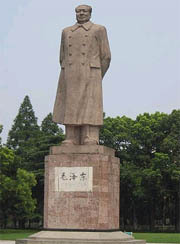 Schuemann fears the Chinese will usurp Signicast's processes and thus its strength. Schuemann knows too that his company's selling points evaporate quickly when overseas investment casters drastically undercut the price of its parts. "We don't need to match the China price dollar for dollar," he says. "If we stay within 20 percent of their price, our customers will stay with us." It's getting harder to keep them anyway, however. The company used to have livelier business with a big local power tool maker, but the customer moved production to China and found jerry-built substitutes for Signicast's high-quality parts. "Our part was one sturdy piece, and their new one is two inferior pieces," Schuemann says. "Theirs will break more easily, but it's a lot cheaper." The business cards of executives at Milwaukee Valve Company Ltd., located in Wuxi, a city of more than four million outside Shanghai, list the company's address at "End of Guangrui Road." By the outward appearance of the trio of decades-old, corrugated-tin roofed industrial buildings that make up the small factory, "end of the road" might seem an apt description. Along the interior of a wall at the back of the factory yard is a pile of wooden kindling that is used to stoke the factory's large furnace when the local electric grid is out of power, which lately has been often. Inside one of the barns, the furnace's orange glow heats and dimly lights a shop that looks little different than that of a foundry early in the last century. Sandboxes with molten brass are assembled manually and set end to end in the black earth floor to cool. While the method looks primitive — the Chinese have been making castings for 2,500 years — workers in Wuxi manage to produce quality castings comparable to those made in spiffier factories in the U.S., Europe and Japan. Milwaukee Valve is a family-owned company whose manufacturing is still anchored in the United States. Its management entered China 20 years ago, soon after economic liberalization began. The company's valves are critical components in pipelines used in many industries. A faulty valve produced by one of the company's Chinese suppliers several years ago nearly ended the relationship with China. But that mistake, according to the company's management, is what made this Chinese manufacturer a "world-class operation." Engineers from both countries redesigned the valve and changed the production process. Out in front of the valve factory is another telling symbol of China's competitiveness. It is a small $2,000 truck, a circus car of a truck, and one of many quaint but operable models still turned out by China's state-owned vehicle factories. In the U.S., cheap trucks prone to failure and always in need of new parts would wreck production and delivery schedules by causing down time and burden bottom lines with $50-an-hour mechanic bills. But in China, mechanics can tend such cheap trucks the way pit crews tend Indy cars — and for less than a dollar an hour. Chinese factories can take advantage of all sorts of machinery that is one, two or three generations past its usefulness in more expensive economies, because the Chinese can afford to run them and fix them. Thus China wrings further cost savings from the manufacturing process, and American companies are forced to go there to get them. "First there was the wholesale price, then the retail price and now there is the China price, and it is very real," says Oded Shenkar, a professor at the Fisher College of Business at Ohio State University. Big manufacturers, Shenkar says, come into their American suppliers with the China price in hand and present ultimatums, often veiled, that the price be met. No politician declares it. There is no Association of Big Box Store Customers beating the drum. But, as nearly any shopping trip in America will teach you, China saves American consumers enormous amounts of money. The worry that Chinese producers are hurting American businesses and eliminating American jobs misrepresents the problem — at least geographically. While the U.S. trade deficit with China is growing, most of the goods from China, between 60 and 75 percent of them, simply would have been imported in past years from other countries. Still, because the China price forces manufacturers the world over to drop their own prices, the jobs that have not moved have been shaken up all the same, in the U.S. and in other countries. In Mexico, for example, which has lost nearly half a million manufacturing jobs and 500 maquiladora manufacturers, workers earn four times what their Chinese counterparts do. So for Mexican factories to stay competitive, they must get by with fewer hands or smaller profits. Americans who would demonize China also have a local problem: the China price is a boon to American consumers. Gary Hufbauer, a senior fellow at the Institute for International Economics, has done some rough math that shows how. "From time immemorial," Hufbauer says, "most American and Japanese businesses have been reluctant to move their manufacturing to new locales unless they can save at least 10 to 20 percent with the move." For the $152 billion worth of goods coming in from China last year, those savings have already been realized. The multiplier effect on the rest of the world's manufacturers, however, dwarfs the savings that come directly from China. Hufbauer figures some $500 billion in goods come from countries that are China's low-wage competitors, and another $450 billion in goods come from China's American and Japanese competitors. That means savings on nearly a trillion dollars of goods. If the savings on that non-Chinese trillion dollars' worth of trade are just 3 to 5 percent, rather than the 20 percent the Chinese can deliver, Hufbauer calculates further savings starting at $500 for the average American household. And people who spend more, get more back. Have a drawer full of $3 T-shirts, a DVD player in every room, a Christmas tree annually encircled with piles of toys? You probably have tons more stuff — and additional savings — thanks to the China price. This inexorable downward pressure on prices now shows up even when the prices of raw materials rise, costs that in the past were hurriedly passed on to consumers. The Chinese industrial boom has, for example, pushed up the cost of copper, aluminum, nickel, plastics and nearly every other important industrial commodity. Chinese demand has caused the price of steel to rise 20 percent this past spring. (China is now the world's top steel producer, by the way, while the U.K. has dropped out of the top 10.) Nevertheless, the price of cars, which reflect nearly the entire commodity index, has been weak. In April, cotton climbed to its highest price at this time of year in seven seasons, but the price of clothing declined. American firms can find it hard to compete. "China hits domestic U.S. manufacturers twice," Oded Shenkar says. "They drive down the price of goods, but they drive up the price of raw materials. It's a wholly different environment." And yet it's a good one for Americans too. The efficiencies forced on the market by Chinese factories also hold U.S. inflation in check. Lower inflation means the Federal Reserve can keep interest rates low, making money more freely available for investment in new and stronger industries. Chinese competition forces American businesses — Signicast, for example — to use capital as efficiently as possible. And to run their plants full tilt. And to find ways to save on labor costs. The Americans who lost manufacturing jobs over the last three years, and the millions more who are expected to see their white-collar jobs migrate overseas, may have not only China to blame, but also the very economic benefits that China has provided for them. And that's to say nothing of what happens once the Chinese countryside, thinned of its oversupply of farmers, turns into efficient farms. Already the Chinese have their eyes on cash crops. Though it has only recently begun exporting apple juice, China already produces seven times as many apples as the U.S., enough to cause a depression in the price of apple juice worldwide. Whole apples for exports are individually wrapped by hand in a foam sock. Given the country's wealth of manual labor, it can assert dominance in crops that must be tended by hand. In a stable China, where its great resource, its people, are allowed to work and spend money in a reasonably well functioning market economy, the growing place of China in a global economy cannot be legislated away with tariffs, quotas or tax incentives for struggling industries. China's strengths cannot be altered by changes in the value of its currency or by restricting the flow of foreign investment into the country. By having changed itself, China is changing the world. That doesn't necessarily mean things will be worse for Americans as the century — the Chinese century — unfolds. Following World War II, the nations of Western Europe, Japan and the so-called tiger countries of Asia rose from the ruins, aided, not thwarted, by the strength of the American economy. In turn, those economic booms fed our own. So perhaps we will be as Europe is to us today, and China will be our America. Imagine Pekin, Ill., a few decades from now. It may, like innumerable small Chinese cities today, be accustomed to a stream of foreign business managers. Perhaps the regional boss for a Wanfeng Automotive dealership is there to be host of a "dig to China contest": the team that gets closest in 40 minutes might win one of the company's hot new red-and-gold Lucky 8 hybrid sports coupes, worth $4,000. As a promotion, Wal-Mart's new World Store is rolling prices back to 2004 levels for the day — shoppers are grabbing the steaks and fish, whose prices Chinese consumers have driven up fourfold since then. Wal-Mart might have competition, however, perhaps from a new giant outpost of Homeworld, a Chinese retail giant that has learned to exploit its proximity to Chinese suppliers and beat Wal-Mart on price. A big event scheduled for the evening might get knowing smiles from the town's old-timers. The Foreign Devils, a high-school basketball team from Manhattan, a new suburb of Beijing, is due in for an exhibition game. Provided its flight, on an all new Chinese jumbo jet, arrives on time. 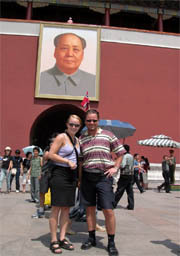 Ted C. Fishman, a contributing editor for Harper's Magazine, is writing a book about China's place in the world. This is his first cover article for The Times Magazine.